Motordepot are proud to announce that we are joining forces with Hull-based charity 'Life For A Kid' in helping to raise funds for local toddler Joel Wilkinson. Three year-old Joel has tragically been diagnosed with Duchenne muscular dystrophy (DMD) - a presently terminal, muscle-wasting disease which will sadly cut his life short unless a cure is found. With Joel set to lose the use of his legs in the not-too-distant future, a fund-raising appeal - entitled 'Joy For Joel' has been set up to help facilitate the home adaptations needed to enable Joel to live as independently as possible. One of the special events being staged as part of the 'Joy For Joel' campaign is a charity rugby league game organised by 'Life For A Kid' at Rosmead Sports Centre on Sunday, April 5th. Motordepot has agreed to become official match sponsors of this game which will feature a number of well-known ex-professionals, as an East Hull select side competes with the 'Joy For Joel Jaguars' for the Motordepot Trophy. Motordepot spokesman Ashley Moon said: "We believe charity should start at home and - as a Hull-based company - we are proud to link up with the Life For A Kid Foundation whose tireless fund-raising efforts are nothing short of inspiring and humbling. "The 'Joy For Joel' campaign is such a heart-rendering cause and, by sponsoring the charity rugby league match, we are intent on raising awareness for what should be a very special occasion. "None of us can change the world but, by working together, hopefully we can all help make a difference to little Joel's world." Dean Hoggard, Head of Operations at Life For A Kid said: "Life For A Kid helps many families locally with fundraising and we are hoping that the Motordepot Trophy can really ignite the 'Joy For Joel' appeal and raise awareness of the campaign. By working together, we can make life easier for Joel and his family. "It's fantastic to get the support of a great local company who have not only committed cash sponsorship but have also offered to help spread awareness of the appeal by actively promoting the campaign." 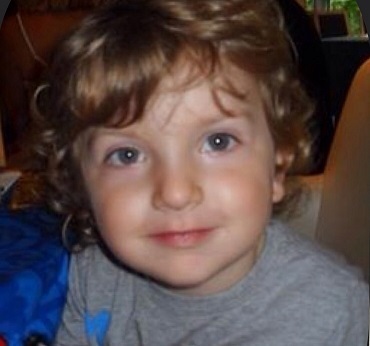 For anybody wishing to make a small £3 donation to Joel's fund, it really couldn't be easier. Simply text LFK Joel to the number 70300 and the full £3 will be donated to Joel's campaign. Alternatively, for larger donations, please donate online using following page.